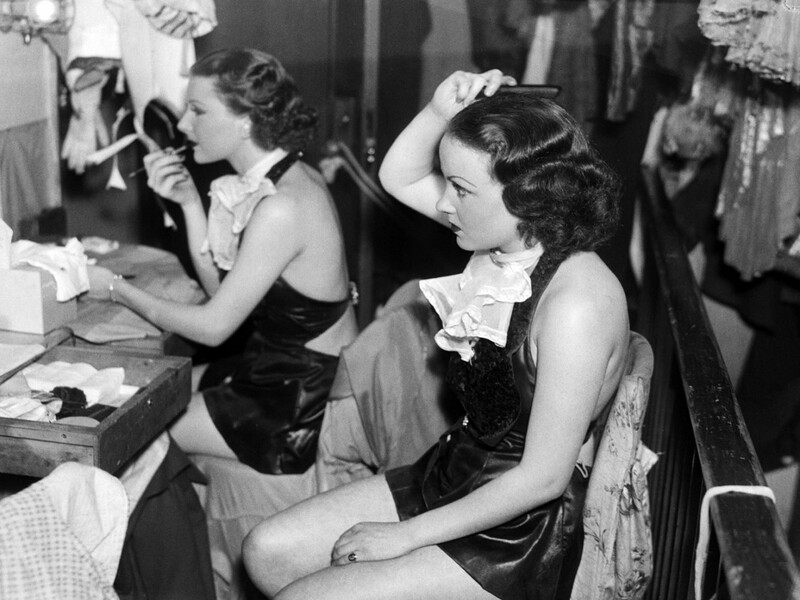 A monochrome photo, of two women getting ready for their next performance. Getting ready for their next performance. Wonder if they are from the chorus line? Vegas maybe? 😆 Great step back in time, Don! I have no idea why, but I just love this shot.